Running a small business comes with its own host of concerns as you are subjected to wearing many hats — from handyperson to the accountant — you likely do it all. If you are feeling like you’re spread way too thin and your plate is overly and abundantly full to the point that causes anxiety and nightmares, perhaps it is time to delegate. Efficient and expert small business accounting is a high priority for business owners, and O’Dell & Company is here to provide assistance to sensitive and essential financial concerns. 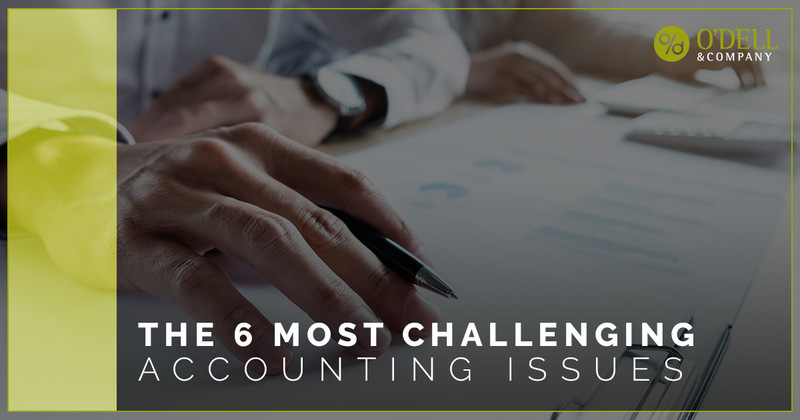 Learn more about the most challenging accounting issues in today’s post. 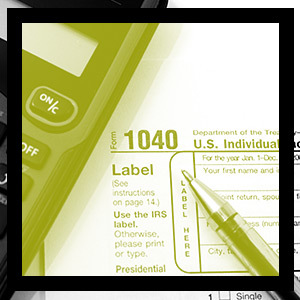 Preparing your own taxes and staying on top of your small business accounting is doable until it is not. Accounting errors occur from time-to-time — it’s a part of our nature — but too big, and you can land your business in hot water. One of the issues that small business owners encounter is they don’t have the wherewithal or vocabulary to ask the right questions, thus create financial issues simply because they are unable to identify them in the first place. If this sounds a lot like what you’re regularly running up against, read below for difficult accounting errors to catch and hopefully prevent! Reversal occurs when a transaction was posted as the wrong payment type — for example, the credit was posted as debit. This is difficult to catch because your books will still be balanced. An omission is another difficult accounting error to detect because you may forget to enter the sale of a service or product, thus you have no record of the transaction. Setting up a consistent habit of entering these transactions is crucial. One of the most common reasons transactions are not entered is as a result of lost documentation. Papers or receipts get lost, as does the transaction. This type of error occurs when the transaction is recorded is the correct area but in the incorrect subsidiary ledger — the payment goes to the wrong invoice. What happens is your books will display the correct amount owned by a client, but your personal ledgers will be incorrect. This is a technical error where your expense assets should be recorded as assets. This error typically occurs when entering a specific amount of money. For example, if a customer spends $500 and you record $5,000, there is a huge, noticeable error in your books. Many times these errors aren’t as noticeable, so finding exactly where they occurred and the frequency can cause havoc on your books. 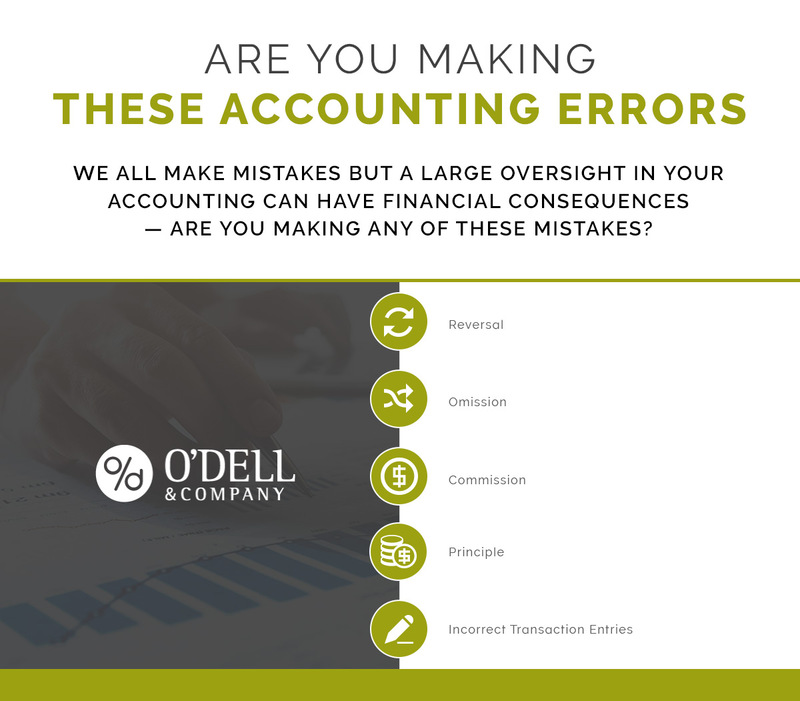 You can minimize accounting errors such as omission, commission, reversal, principle, and incorrect entries by developing and establishing good habits. Be thorough in your practices and make sure you are able to handle the workload that accounting brings. Expanding methods for preventing errors will also be advantageous for clean books, but realize you will make errors from time to time — no one is perfect! Also creating an accounting inventory is something to consider. This look like setting a day aside at the end of each month or every three months to take a close look and see what your accounting actually reflects, and then reconcile them accordingly. Once you have a better understanding of repeated errors, you can better prevent them by being cognizant of the issues. The best prevention you can take is learning to delegate your small business accounting to the experts. Not only do they have the skills and experience to keep correct and balanced books, but they can also provide tax preparation and consultation to help your small business flourish! To take advantage of accounting experts, connect with us today.